Our apartment purchased and entirely renovated this year (furniture, bedding, ground, walls...), is located in a calm area of the resort. 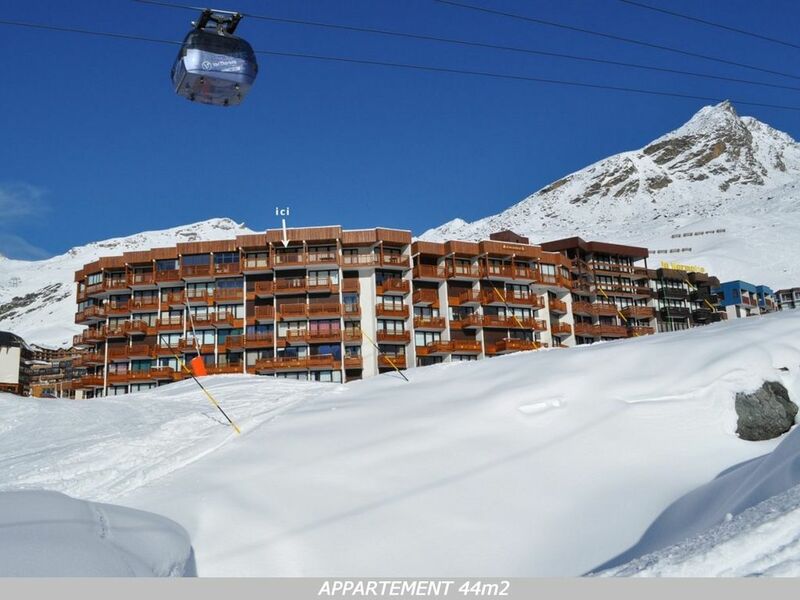 Its furniture in pines of north guarantee you a warm atmosphere, and its 2 balconies of 8m2 full south will enable you to eat outside or to make you bronze while admiring the Caron summit. Possibility for the large families of renting a studio on the same floor. Don't forget booking your carpark place's. The nearest carpark is the number P0.